In the final moments of his first inaugural address, President Abraham Lincoln said, "In your hands, my dissatisfied fellow countrymen, and not in mine, is the momentous issue of civil war." He closed the impassioned speech with a plea to what he called "the better angels of our nature," an artful way of imploring Americans to muster their innate goodness and to let it guide them in the turbulent days he knew were coming. It was this section of the famed oration that led Colchester-based saxophonist Brian McCarthy, 36, to develop a large-scale, modern jazz project called The Better Angels of Our Nature. He and his nonet released a crowdfunded recording of the project in June. The nine-song suite, which McCarthy originally debuted at the FlynnSpace in November 2015, reimagines popular music of the Civil War era as a complexly arranged, imaginative odyssey. He draws a parallel between the creation of jazz, a celebrated genre born out of the suffering of black slaves, and Lincoln's "better angels." "[I find that] some of the better angels of our nature is the creative side of humanity," McCarthy explained to Vermont Public Radio's Reuben Jackson during a listening event in July. "And, for me, being in the realm of jazz — it just connected with Lincoln's better angels." "It's very important to [understand] where jazz comes from and [what] makes it so important as an art form," he later added during an interview with Seven Days at a downtown Burlington café. "We're creating for the sake of creativity. That's why we do it. What are we capable of in a positive way?" The Brian McCarthy Nonet performs The Better Angels of Our Nature for the second time on Friday, August 18, at the Highland Center for the Arts in Greensboro. "Even though it's not the largest group I've written and arranged for, the project itself is by far the most massive thing I've taken on," said the bespectacled musician, who's given to frequent smiles. McCarthy grew up in Vermont's Northeast Kingdom — Hardwick, to be exact. His upcoming performance is a triumphant homecoming and speaks to how far both he and his childhood home have come. "Things like [the Highland Center] aren't supposed to exist where I grew up," he said. "I used to ride my bike past the open field [that] it used to be. Any city should be envious of this place." In his youth, McCarthy knew that he would pursue a career in jazz. After a brief, unsuccessful stint with trumpet, his connection with the saxophone was nearly instantaneous. 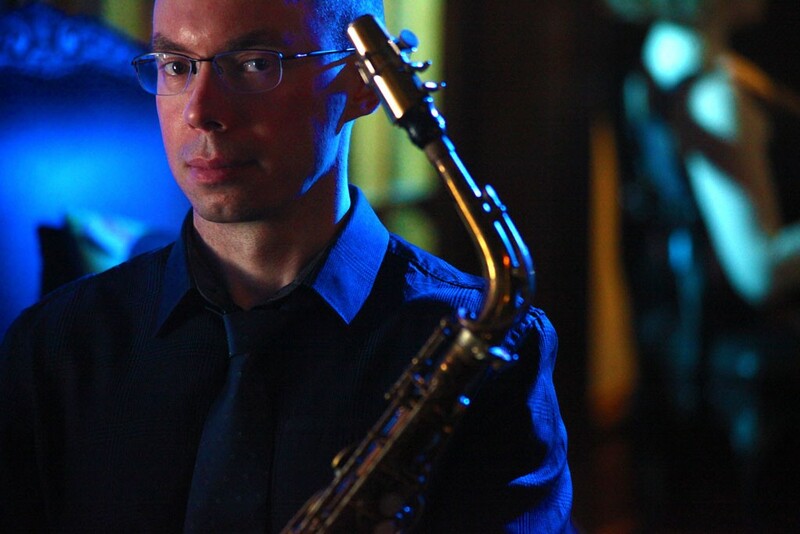 After graduating from Hazen Union School, he pursued undergraduate and graduate degrees in jazz studies and composition at William Paterson University in New Jersey. McCarthy returned to Vermont in 2007. He's since taught a variety of jazz-related subjects — including composition, ear training, pedagogy and jazz history — at several Vermont colleges and universities. In 2011, saxophone maker Selmer Paris gave him an endorsement. In late 2014, the Vermont Arts Council awarded McCarthy a grant to create what would become Better Angels — though, at the time, it hadn't yet taken shape. While he was in the planning and head-clearing stages, he revisited one of his favorite works of nonfiction: Ken Burns' epic miniseries "The Civil War," in which narrator Sam Waterston recites Lincoln's famous speech. For McCarthy, it was a light-bulb moment. "['Better Angels'] was the first idea I had," he said. "That last paragraph is so beautiful. Every word has purpose." As evidenced in the album's liner notes, the project is meticulously researched. "We spent as much time on the liner notes as the music," McCarthy said. "We" includes his wife, manager and the album's executive producer, Linda Little. Most of Better Angels' songs are based on popular music of the era with enduring historical significance. For instance, as explained in the liner notes, "Battle Hymn of the Republic" is also known as "Glory, Glory Hallelujah." But it originally began as "John Brown's Body," the Union's marching song that told the tale of the eponymous radical abolitionist. McCarthy spins it into a breezy, syncopated number, with his brass section taking on the instantly recognizable melody. The title track is one of two completely original compositions. It's essentially a musical impression of Lincoln's address. Based on the flowery language used in its final paragraph, McCarthy assumed what preceded it would be just as stunning overall. But when he examined the other 45 minutes of the speech, he found it not as lyrical as the "better angels" section. "It's really dry [and] straightforward," he says. "I thought, Oh, God, people already know what I'm calling this project. What am I going to do?" But as he listened to recorded versions of the speech, three distinct personalities emerged: that of a lawyer, a president and simply a man. McCarthy presents these identities in three clearly defined sections. The first suggests Lincoln as lawyer. The fast-paced opening section features a scintillating flugelhorn solo from trumpeter Bill Mobley, which mimics the verbose language of legalese. Next, we meet Lincoln as president, in which the horns and piano jockey for dominance, much like the North and South at the beginning of his first term. The third section, markedly slower and contemplative, gives us Lincoln as a person. Justin Kauflin's sorrowful piano work represents Honest Abe's turmoil as he prepared to take office in a divided nation. McCarthy is honest about the era's racially charged music. One of the project's notable inclusions is a reworking of "I Wish I Was in Dixie's Land," or "Dixie," as it's most commonly known. The song is inextricably linked to minstrelsy and is generally considered to be one of the most racist songs in the American canon. While it might have been easy to simply ignore the infamous ditty, McCarthy chose to examine its history. "It's essentially an anthem that attaches itself to the Confederacy," he said. "In a lot of ways, it would be a big omission to not approach this song." McCarthy did so respectfully. The liner notes acknowledge the song's racist connotations but also point out the song's murky origins. Its credited author, Daniel Emmett, didn't intend for it to become the anthem of the Confederacy. The notes also mention that an African American minstrel band may have, in fact, penned the song as a cheeky and subversive comment on slave life. "We need reminders every now and then of that history, and it's OK to talk about it in an honest way," said McCarthy. His reinventions, particularly "Dixie," aren't an attempt to rewrite history but rather to create something new and beautiful out of the music of a particularly turbulent time. On Better Angels, he succeeds. "What I like about [McCarthy's] interpretation — I think it can and does pertain to what art can do," Jackson told Seven Days in a phone interview. "[McCarthy's] relationship to that quote as an American and as someone who's endeavoring to interpret music from a [historical] period — he came up with a brilliant and substantive take on what Lincoln was saying." "I think humans are capable of really wonderful things and really terrible things," said McCarthy. "The human mind [should be] put toward the betterment of humanity — not for the sake of personal gain but for the sake of moving our evolution forward. That's the message I take from Lincoln." The original print version of this article was headlined "Seeking Angels"